When your Mazda is in need of auto maintenance or repair, you don’t want to spend more than you have to. That’s why you should visit the Midlands Mazda service center for our variety of oil change specials and auto repair coupons. We always offer rotating service specials so you don’t need to stretch your budget to keep your Mazda in peak condition. For brake service coupons, maintenance specials and more stop by our Columbia location at your leisure! Contact our service team to schedule an appointment or inquire about our current service specials. Plus applicable taxes. 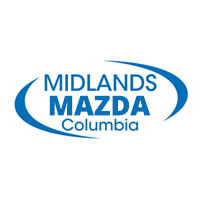 Valid only at MIDLANDS MAZDA OF COLUMBIA. Cannot be used with any other applicable offer. Mazda vehicles only. Prices may vary by model. Hazardous waste fee if applicable. Please present coupon at time of write-up. Coupon expires 07/07/2019. and receive a money-saving discount. Customize your Mazda to reflect your personal style and save 10% off on all Genuine Mazda Accessories. Don’t forget to take advantage of our professional installation services!